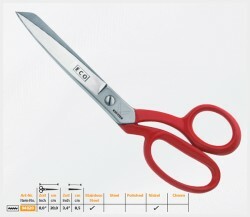 Textiles area is a classic field of application for scissors. Many different materials require a variety of different scissors. Stable tip for heavy materials, dish-washer safe. Long stables blades for heavy materials, dish-washer safe. Long blade for long cuts on most materials. Stable tip for precision with heavy materials. Rounded blade for safe handling. Long blade, stable tip for precise cutting. Stable blades for heavy materials. Heavy shears for difficult materials. Big finger-loops for easy-handling even with glowes. Heavy shears for difficult materials. Big finger-loops for easy-handling even with gloves. 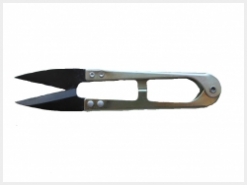 Heavy blade for difficult materials, wire-cutter device. Big finger-loops for easy-handling even with gloves. Wide thumb area for continuous comfortable cutting. 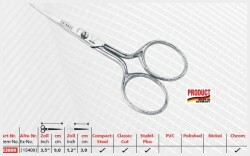 General purpose scissors for long cuts on most materials. Big finger-loop for easier cutting. Pointed tip for a precise cut. Big finger-loops for perfect handling even with gloves, wire-cutter device. 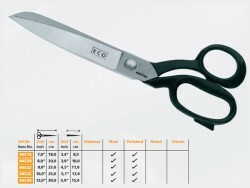 Universal scissors for swift and perfect cutting. Sturdy tip for perfect cutting, even for heavy fabrics. 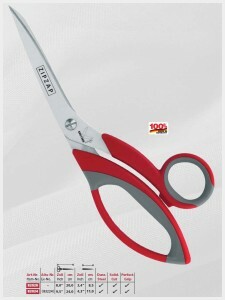 Universal scissors with long sturdy blades for perfect cutting. Sturdy blades with pointed tip for universal cutting in your hobbies. 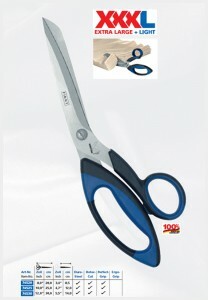 Lefthand scissors with long loop handle for powerful cutting. Sturdy blade, also ideal for heavy fabrics. Pointed tip for swift and precise working. Light-duty use with large finger hole. With serrated blades, especially for lining material for perfect cutting. 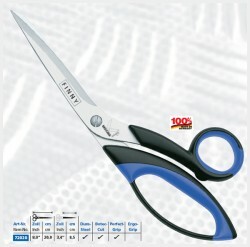 With sturdy tip for perfect cutting for heavy fabrics. Sturdy model for smooth cutting for the heaviest fabrics. Sturdy model for smoth cutting for the heaviest fabrics. Sturdy serrated blade, multipurpose use, extra large handles. 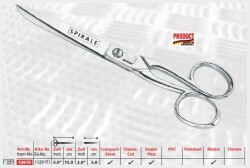 Universal scissors for all conventional materials. Scissors for precise cutting, also for the heaviest fabrics. Pointed tops for precise cutting, also for the heaviest materials. 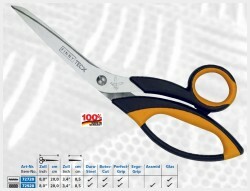 Sturdy scissors with extremely strong blades for almost any material. Bent, rounded tip for handling without injuries. 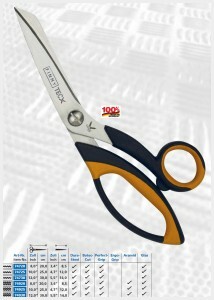 With pointed tip for precise cutting for heavy materials. 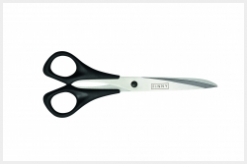 Sturdy scissors for almost any floor covering. 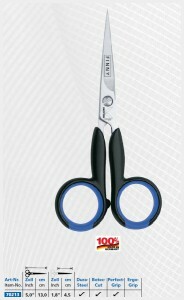 Universal scissors for difficult materials, with wire-cutter, large handles for comfortable working, even with gloves. Sturdy tip for universal cutting applications. 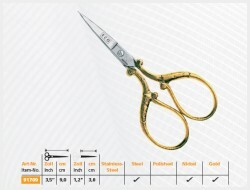 Universal scissors for neat cutting for various materials. 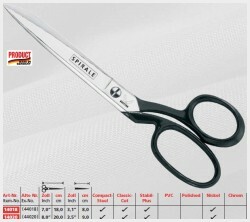 One-ring scissors for swift and precise cutting. Pointed tip for precise cutting, also for the heaviest materials. Small, serrated cutting head for swift working. Slim tip for fine cutting. Sturdy blades, also for thicker materials. 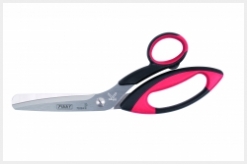 Handy scissors for swift cutting. Large handles for comfortable working even with gloves. With wire-cutter. Small cutting head for swift working. 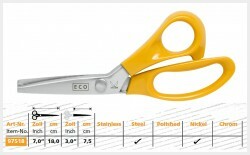 Pointed tops for precise cutting,also for the heaviest materials, flat screw. 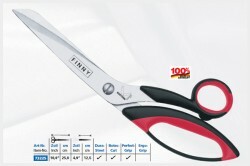 Short fine blade for precise cutting. Short, fine blade for precise cutting. Long shanks for precision cutting at the point. Stable bent point for precise cutting. General purpose with pointed tip, for all embroidery work. Slim blades with pointed tip for precise, neat working. Special blades with broad blade brim. 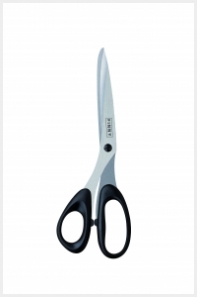 Stainless, heavy scissors curved for cutting nails, with an adjustable screw. 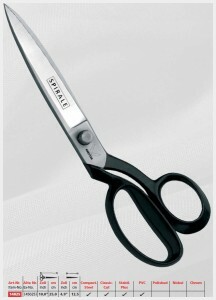 Stainless, fine scissors for a precise cut, with an adjustable screw. Slim, fine tip for extra fine cutting tasks. Slim, fine tip for fine cutting tasks. 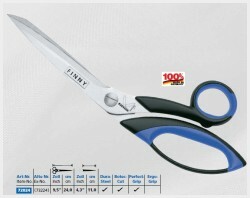 Sturdy tailor’s shears with micro-serrated blades, especially for glass fibres and light aramids. 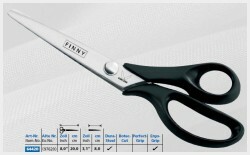 Sturdy universal tailor’s shears with micro-serrated blades, especially for glass fibres and light aramids. 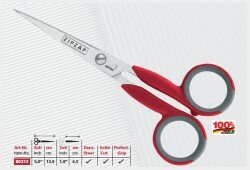 Sturdy universal scissors with micro-serrated blades, especially for aramids. Curved / bent blades for cutting bows and circles or for cleaning textiles from loose threads. With wire-cutter. Brand-new invention.